2017 Harley-Davidson FLSTC - Heritage Softail Classic, Super clean, only 5,300 miles, one owner bike with anti lock brakes, factory cruise control. Harley-Davidson® Heritage Softail® Classic Blazing from the past with original dresser spirit and modern touring capabilities. This Heritage is flawless and ready for the riding season. 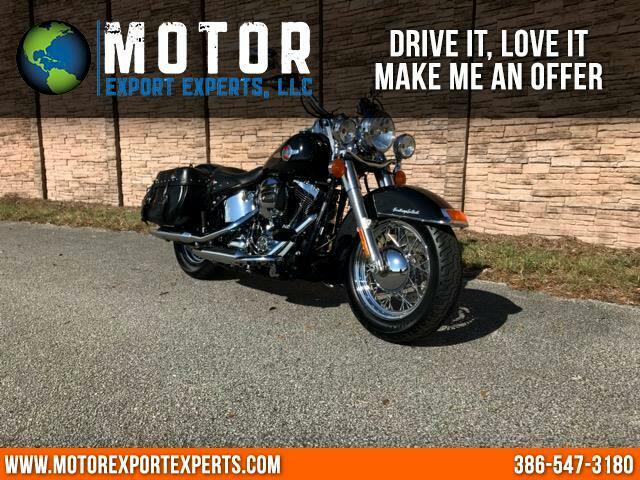 With a BOOK VALUE of $17,300 a savings of $3,800.00 this super clean Softail will not last long. SHIPPING, FINANCING AND EXTENDED WARRANTY AVAILABLE. FINANCING FOR EVERYBODY! REGARDLESS OF YOUR SCORE, WE HAVE OPTIONS FOR YOU! Message: Thought you might be interested in this 2017 Harley-Davidson FLSTCI.